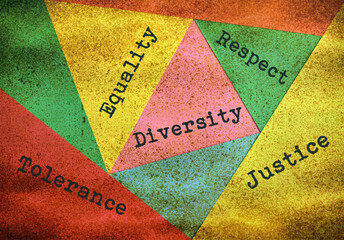 It is so exciting to have all of you here today in advancing our common efforts in bridge-building, coalition-building, and creating collective spaces – such as the one we are experiencing today – to advance spaces and places that are examples of the kind of just and equal world that we want to live in. Every one of you here deserves a big applause for creating that type of social change advancement in Pomona – Please give yourself a big applause. It was not that long ag- December 5th, 2014 when the Latino and Latina Roundtable and the NAACP Pomona Valley Branch walked together, chanted together, and raised our voices in a Pomona Peace Walk of over 200 diverse participants – that made their way from city hall to the Village area on East Holt Avenue where we showed the film “Cesar’s Last Fast.” This was a real beginning of our crossing bridges – and indeed we crossed bridges that day in sharing our solidarity with a 120-mile, seven day march from Ferguson, Missouri to Jefferson City in support of Michael Brown. Some of the marchers of all nationalities crossed borders that day in carrying pictures of 43 Ayotzinapa students from Mexico (whose forced disappearance is still being protested today). 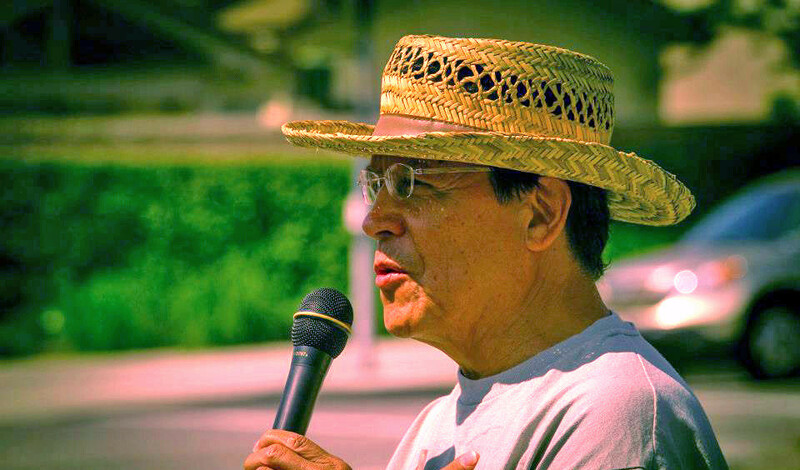 Since that time, we have not stopped in collaborating – building bridges from forums and actions to get at the structural foundations of violence – to other marches such as a a Cesar Chavez Pilgrimage with the primary themes “Black Lives Matter” and “Remember Ayotzinapa;” – together in carrying out voting rights forums, ballot initiative forums, candidate’s forums, – and voter registration – voter turn-out campaigns – in the streets of Pomona and the region; to supporting our union brothers and sisters – farmworkers in Salinas, dining hall workers at Pomona College, UFCW workers and warehouse workers, nurses and service workers and health for all — to a “Journey for Justice” Rally at Pomona city hall in honor of an exemplary leader that we all remember and support — Julian Bond; to a march of 1500 students at the Claremont Colleges (where Jeannete and I were the keynote speakers) – as part of national demonstrations protesting a growing campus climate of exclusion and calling for our working together, as we are doing today, to root out the seeds of racial, class, gender, and sexual oppression. We have been there together, brothers and sisters, in supporting our immigrant and refugee communities – together in No Ban No Walls Rallies in LaVerne in Claremont, and at the Ontario airport – Together, brothers and sisters in — Passing a Pomona Unified School District school board a resolution “Regarding the Board’s Commitment to Ensure All District Campuses are Safe Zones and Safe Havens”; Together in coalition-building to Pass an ordinance with the Pomona City Council to implement the California Values Act, SB 54; Together – in continuing to partner as Part of a College for All statewide coalition to endorse and actively implement California State Senate Bill 1050 to create a kindergarten-to-college pipeline of educational opportunity and success for our underrepresented students – particularly those from low income, English language learner, and foster youth backgrounds. Together – in supporting local businesses, schools, colleges, and unions to advance a local economy that invests in the health and well-being of our communities. And finally, together today – to be together in this sacred space right here – in collaborating to build a visionary and united leadership of all generations and of all backgrounds to advance positive outcomes for good jobs, health care, education, and quality of life. That is why we are here today – in Solidarity -together — to celebrate how far we have traveled down this justice road – and to make a commitment today to keep on a walking, keep on a talking – walking down this freedom road. This entry was posted in Action, News on February 6, 2018 by Jose Calderon. You are invited to the “No Muslim Ban and No Wall,” rally in Memorial Park (840 N. Indian Hill Blvd.) in Claremont beginning at 2 PM on Sunday, February 26! This rally will bring diverse communities together to stand in solidarity in rejecting President Trumps Executive Orders, regarding the Muslim ban and wall by peacefully rallying justice for ALL people, regardless of ones race, religion or background. -National Anthem sung by, Thuy-Vi Nguyen. -Mayor of Claremont, Sam Pedroza. -Mayor Pro Tem of Claremont: Larry Schroeder. -Representative from Los Angeles County Board of Supervisor, Hilda Solis’s office. -Representative from Congresswoman, Norma Torres office. – NAACP President of Pomona Valley, Jeanette Ellis-Roysten. – Prof. at California State University of San Bernardino, Dany Doueiri. -Emeritus Professor in Sociology and Chicano and Latino Studies, Jose Calderon. -President of the Board of National Alliance of Latin American and Caribbean Communities, Hazen Foundation in NY and serves on the Board of the National Council of La Raza, Angela Sanbrano. – Secretary of Corona/Norco Mosque and Progressive Activst, Fauzia Rizvi. -Vice President of Islamic Center of Clarmeont, Mahmoud Tarifi and Chino Hills Mosque/Representative for the Shura Council which represents all Southern California Mosque, Ahmed Suboh. – President of Cal Poly Pomona’s Muslim Student Association, Nishat Anzum. – Poetry Reading by Madeline Rios. -Latin music Rosa Martha Zarate Macias. This entry was posted in Action, Immigrant Rights, News, rally Against Hate on February 26, 2017 by Jose Calderon. 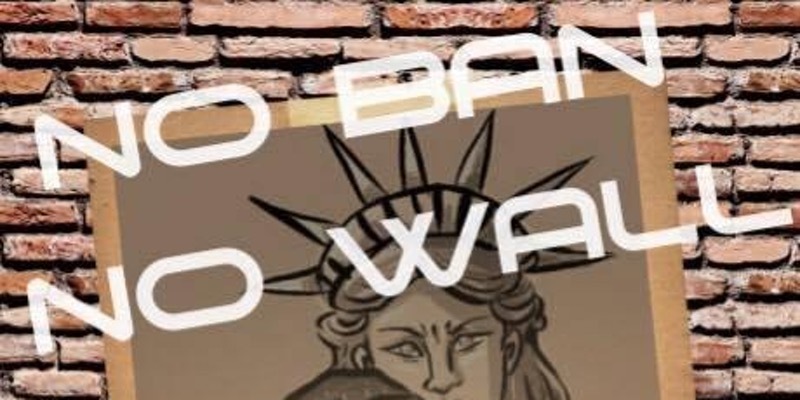 Please come join us in supporting the “No Muslim Ban and No Wall,” rally! This is an opportunity to come and meet other people in your community or within different communities to unite behind love instead of staying quiet when you see hate. If there was ever a moment when our voices mattered the most, it is NOW. 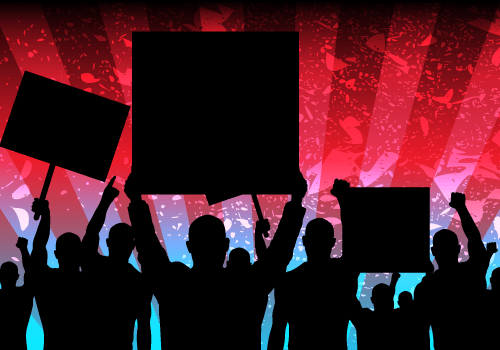 We can no longer sit on the sidelines with ineffective and backward policies! WE MUST join in solidarity with ALL minorities! “We The People,” stand in solidairty with ALL of our brothers and sisters in rejecting President Trumps Executive Orders, regarding the Muslim ban and wall by peacefully rallying justice for ALL people, regardless of ones race, religion or background. -Represenative from Los Angeles County Board of Supervisor, Hilda Solis’s office. -Represenative from Congresswoman, Norma Torres office. -Emeritus Professor in Sociology and Chicano and Latino Studies, Jose Celderon. -President of the Board of National Alliance of Latin American and Caribbean Communitites, Hazen Foundation in NY and serves on the Board of the National Council of La Raza, Angela Sanbrano. -Vice President of Islamic Center of Clarmeont, Mahmoud Tarifi and Chino Hills Mosque/Represenative for the Shura Council which represents all Southern California Mosque, Ahmed Suboh. This entry was posted in Action, News on February 23, 2017 by Jose Calderon. 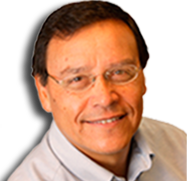 This entry was posted in Action, News, Protest on January 20, 2017 by Jose Calderon. Please join us at the upcoming County board meeting on Tuesday, January 10th at 10 am to support Supervisor Solis’ continued work on Immigrants’ rights and protections and to call on the County to establish the Office of Immigration Affairs. At the meeting, the Sheriff and the Superintendent of the Los Angeles County Office of Education will report back on how they have responded to the directives in Supervisor Solis’ Immigration Protection Motion (http://hildalsolis.org/supervisors-solis-and-kuehl-call-for-la-county-strategy-to-protect-immigrant-communities/). And, the other supervisors and County leaders need to hear how the Immigration Protection Motion and an Office of Immigration Affairs would help our community. Please let me know if you are able to attend and if you can bring others. This entry was posted in Action, News on January 7, 2017 by Jose Calderon. Where: starting at 9:30 a.m. at Pomona School District Headquarters (800 S. Garey Ave.) with noted community speakers and followed with a pilgrimage walk to Garey High School (321 W. Lexington Ave., Pomona, Ca) where a celebration will take place from 11:00 AM – 2:00 PM (Open to the Public). Starting at 9:30 A. M. at Pomona School District Headquarters (800 S. Garey Ave.) at the site of a 300-year-old tree to celebrate and listen to speakers who represent the wisdom of the elders on some of the issues affecting our communities. Followed by a march led by Danza Grupo Toyaacan to Garey High School where a young tree will be planted and where youth speakers will share words on the issues affecting them. A snake dance, afterward, involving everyone, will brings together the diverse generations in a snake dance symbolizing the unity that is needed between the various generations in overcoming obstacles to advance a more just and equal society. (Pomona, CA) – A coalition of local leaders, parents, students, teachers, and community groups will honor civil rights leader Cesar Chavez with the 14th Annual Community Pilgrimage, commemorating the pilgrimages that Chavez led to highlight the issues of social justice in our diverse communities. 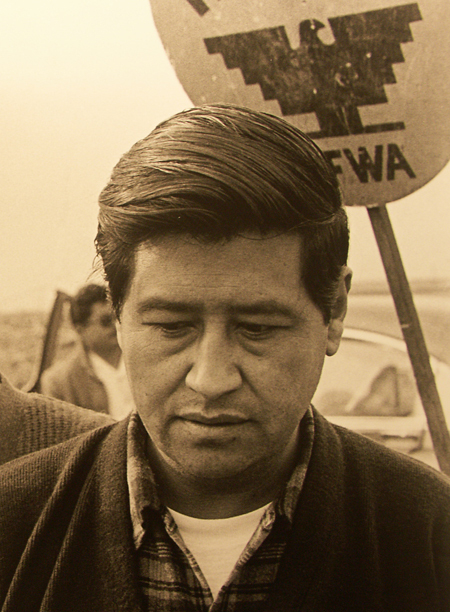 The pilgrimage honors the birthday of Cesar Chavez on March 31 and also the day he passed away, on April 23, as part of continuing a legacy of advancing human rights, peace, and social justice in the region. As in previous years, a ceremony at 9:30 A. M. in front of the PUSD Administrative Offices, will include elder leaders from the community who will honor a 300-year old tree, symbolizing respect for our elders and the sacredness of the environment (including PUSD Superintendent Richard Martinez, Bishop Herbert Wilkins, Jeanette Royston from the NAACP, Tony Cerda from the Ohlone Tribe, and Angela Sanbrano from the Latino/a Roundtable). After, a pilgrimage walk will make its way to Garey High School where a small tree will be planted and various speakers will speak on the importance of ensuring the development of our future leaders, our young people (including Cesar Chavez’s grandson Andres Chavez, Garey High School principal Stacey Wilkins, Garey High School Stand-out Karina Aguilar, and Mt. Sac Student Government leaders Fabian Pavon and Alejandro Juarez. Scholarships will be presented to students who best represent the principles and values of community engagement. The entertainment will include the Son Real Band, Danza Azteca Toyaacan, Le Chic Filipino Dance Group, VOM Dance Group , Singer Paola La Portanguila, and Lincoln High Ballet Folklorico. Food will be available for purchase with all the proceeds going to student scholarships. This entry was posted in Action, Cesar Chavez, News on April 5, 2016 by Jose Calderon. We would like to extend an invitation to you to join thousands for the National Day of Action in LA. We will march for racial, social and economic justice. Fight for $15. This entry was posted in Action, News on November 5, 2015 by Jose Calderon.